WJCT and Baptist Health partnered once again in 2016 to present Girls’ Day Out 2016, an uplifting day of health and wellness in northeast Florida. 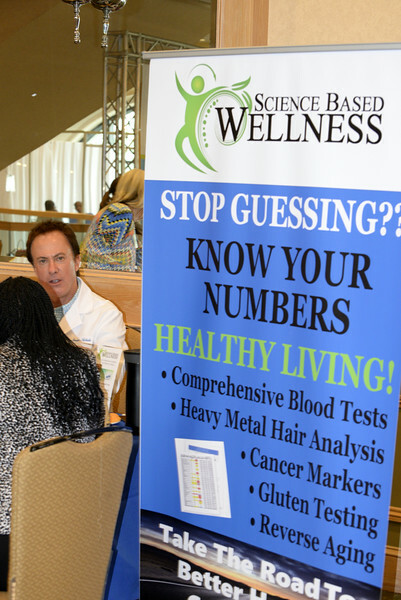 More than 800 guests attended the 16th annual women's health conference presented by WJCT. Girls’ Day Out is an annual day-long women’s health conference for women of all ages featuring national speakers, free health screenings, breakout sessions with health experts, and more. This year's conference was held at the Hyatt Regency Jacksonville Riverfront hotel in downtown Jacksonville. This year’s keynote speakers were celebrity chef Mai Pham and Good Morning America Anchor Amy Robach. With their ticket to Girls' Day Out, attendees received a continental breakfast, a delicious and healthy lunch, a gift bag with lots of free goodies, access to personalized health screenings, and entry into a door prize drawing at the end of the day.